Many cultists believed to be members of Eiye confraternity terrorising Ughelli community in Delta State have allegedly killed a 35-year-old businessman, Onoriode Morphy, in Eruemukogharien town, Ughelli. 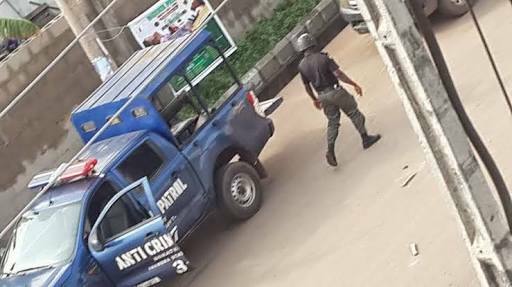 The Police Public Relations Officer, PPRO, in the state, Andrew Aniamaka, who confirmed the incident to Daily Post, said, “the victim (Businessman) from our investigation, is a member of the vickings confraternity. "Suspects shot him directly on his chest on Thursday evening when they stormed his house on a revenge mission although his family members denied he was never a member of any cult group. "Investigation is ongoing while his corpse has been deposited at Ughelli General Hospital mortuary. We have arrested four persons in connection with the gruesome murder, and they are being detained for further investigation”. Unconfirmed sources said the victim was killed for trying to escape after he allegedly led members of the vickings to murder a member of rival confraternity.